Carl plays the accordian and joins George's show. 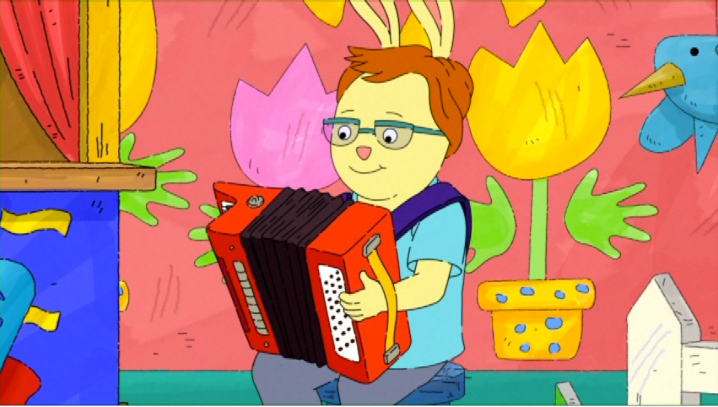 Carl has agreed to play the accordion for George’s puppet show. But his routines are getting in the way of rehearsals. Now George must decide: keep Carl and risk the show, or replace Carl and risk his friendship? Carl's Concerto airs Thursday, January 17, 2019 at 6:30 a.m. on WXXI-Kids. This program is part of Dialogue on Disability, a partnership between WXXI and Al Sigl Community of Agencies designed to stimulate community dialogue about the perspectives and abilities of people with physical and intellectual disabilities. During the week-long initiative, which runs January 14 through January 20, 2019 WXXI presents special programming on TV, radio, and at the Little Theatre.